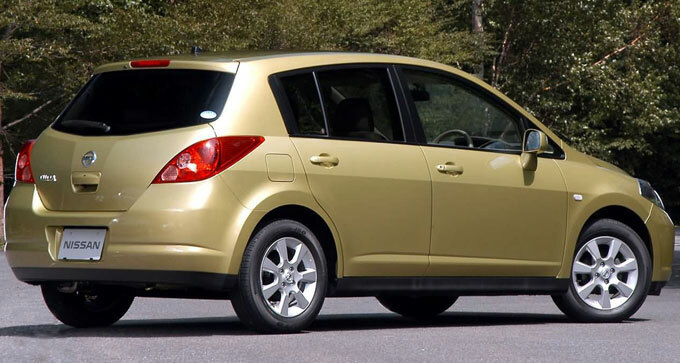 In 2010 Nissan Tiida underwent easy restyling: the external design of the car changed. 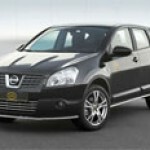 These changes include a new front grille, thresholds and a car bumper completely are painted, changed materials of finishing of Nissan Tiida and new options (Nissan Connect navigation system) are added, 3 new colors were added. Enjoy dynamics of Nissan Tiida in the atmosphere of a cosiness and comfort. Thanks to the thought-over design of Nissan Tiida possesses one of the most spacious salons in the class. Even if the high driver drives, there is enough place that all passengers settled down with comfort. Nissan Tiida is equipped with powerful petrol engines with a working volume of 1.6 liters (110 h.p.) and 1.8 liters (126 h.p.) 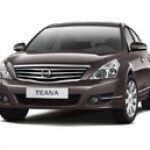 which give to the car excellent dynamics, differ in low fuel consumption and level of emission of toxic substances. Depending on a complete set are offered 5-and 6-staged mechanical transmissions, and also 4-staged automatic transmission with high smoothness of switching of steps. The advanced design of Nissan Tiida engines provides smooth and silent transfer of power to wheels. The Nissan Tiida car quickly and surely gathers speed, showing fine dynamic characteristics. Materials of finishing of Nissan Tiida changed. Nissan Tiida opens before you new measurement of comfort - extraordinary spacious and cozy salon in which the driver and passengers feel most conveniently. Nissan Tiida is a latest approach to sound insulation. Use of innovative materials allows to reach the highest level of a noise isolation. Nissan Tiida will make your life rather convenient: back window regulators with the electric drive, adjustment of a driver's seat on height, the developing back seats, a maximum of a universal place for storage, system of an unblocking of doors without key (intelligent key). Modern and elegant design, high-quality materials of finishing, convenient seats and the equipment allowing the driver and passengers to feel absolutely comfortably: the soft wide lobbies and back armrests, heating of seats, the sensor of a rain, the button of control of the audio system and phone located on a wheel - all this Nissan Tiida. Nissan Tiida is a standard of comfort and quality, an ideal combination of refined salon and innovative design which fills with pleasure any trip. Accurate lines of a body of Nissan Tiida - result of numerous tests in a wind tunnel. The verified proportions allow this car even at high speeds to remain almost silent and economic. The long wheel base and broad gage of wheels provide to Nissan Tiida good stability. The expressive forward lighting engineering and curved dynamic back lamps add appeal of stylish appearance of Nissan Tiida. Nissan Tiida is developed taking into account the most modern requirements for active and passive safety. The framework of a body of Nissan Tiida is strengthened, the programmed deformation zones in forward part of the Nissan Tiida car absorb and redistribute energy of blow to reduce weight of injuries at collisions. The standard equipment Nissan Tiida includes two frontal safety cushions and forward lateral safety cushions. Depending on Nissan Tiida complete set it is also equipped with pillows - "blinds" which provide additional protection of the driver and all passengers. 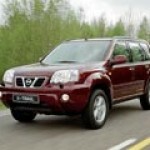 Nissan X-Trail X-Trail - it not only supernatural opportunities, but also intellectual innovative technologies.